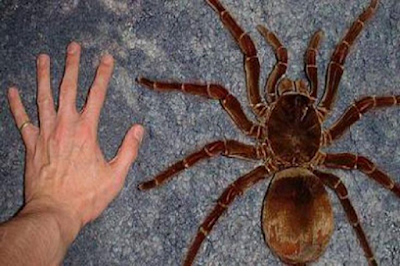 Men's Corner: This is how largest spider in the world looks!!! 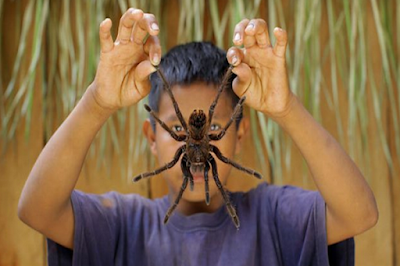 This is how largest spider in the world looks!!! Spider Goliath is the largest spider in the world and can reach a length of 30 cm (one feet) and a weight of 170 grams. Really creepy if you have a phobia of spiders. 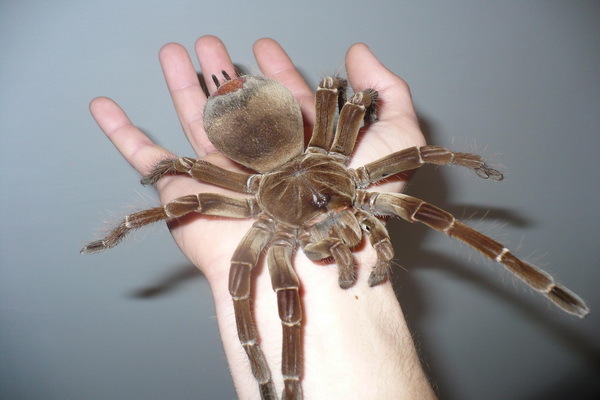 Goliath is a family of tarantulas and actually looks like it came out of a horror story. Goliath follows a strange nickname, which is "bird eater." 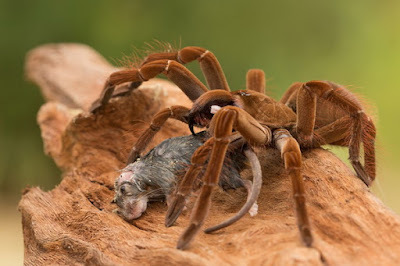 Although his diet is not based on bird meat, it is not rare that this spider eats at a hummingbird. When he was only first discovered, scientists have found that spider eating a hummingbird, and are therefore gave him this nickname. 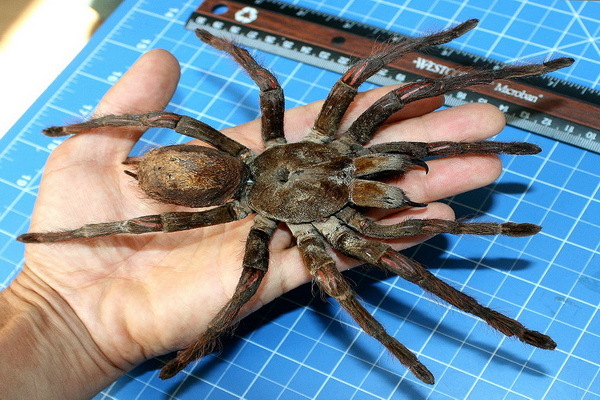 The good news for you is that this spider does not inhabit our region and it is located only in the rain forests of South America. 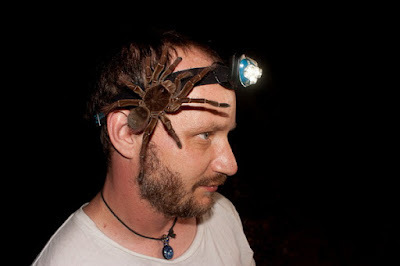 Although huge, this spider is not too dangerous for humans. The strength of its venom can be compared to bee stings. The only danger may be the hair, which can cause skin allergy. Most often they feed on small insects and frogs. View the gallery if you have the courage !!! Rules for watching in a woman's breasts!